Norwegian American Hospital is a critical, safety net health care provider whose mission is to provide high quality, compassionate, and affordable health care services by partnering directly with patients, families, employees, physicians and the communities served. 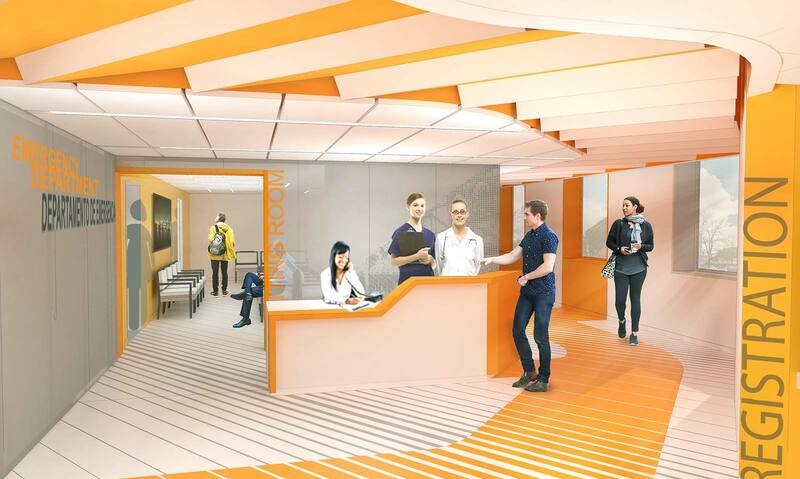 JGMA planned and design the renovation and reimagination of the lower levels and functions within, specifically related to patient care and visitor flow and wayfinding. The project consists of over 25,000 sq-ft of work split into 22 individual phases and seeks to create a warm and welcoming environment reflecting the quality of the care provided within, as well as cohesive defining a cohesive wayfinding strategy throughout the first floor. 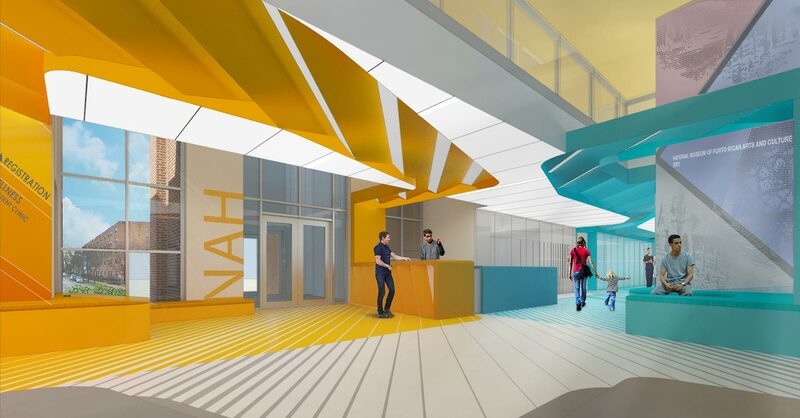 The interior transformation includes new floor, wall, and ceiling finishes to brighten and enliven the interior environment through a bold and expressive introduction of color, as well as provide clear wayfinding for patient access to the various programs throughout the hospital. Creation of new partitions and demolition of existing barriers in various clinical areas, including the emergency department, seek to reshape programmatic adjacencies and better promote the identity of wellness and privacy for all. 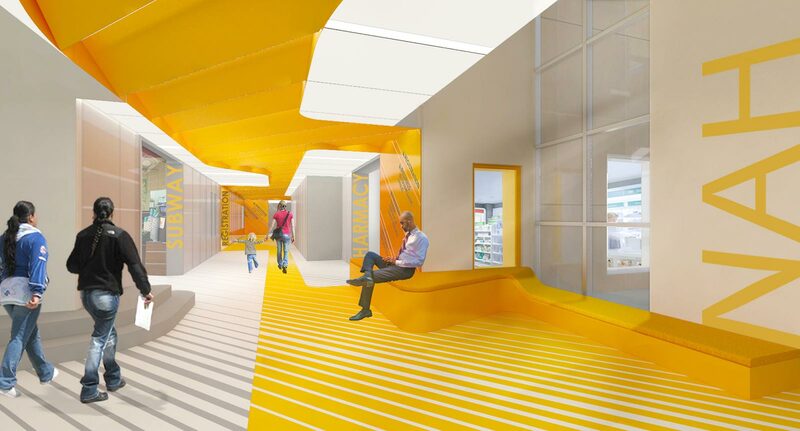 Careful introduction of transparent and translucent materials assists in promoting openness and privacy simultaneously, while providing opportunities to tie the hospital back to the culture of the surrounding community through the introduction of local art and imagery of nearby landmarks. The introduction of a dynamic ceiling treatment throughout the corridors is meant to both define the various program areas throughout the project, as well as shape the logic of signage and wayfinding that is both welcoming and easy to understand. 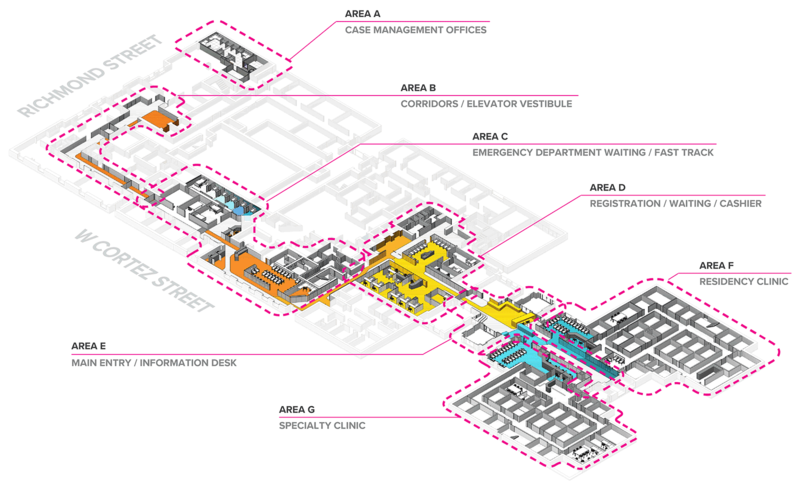 The project phasing needed to be compartmentalized into smaller portions that would allow the hospital to maintain day-to-day operations during the course of construction without interruption, as the hospital is an active safety-net facility that provides critical services to its surrounding community. Due to the prioritization of hospital operations, these phases often divide corridor, clinic and waiting room areas that flow directly into one another and the order of operations has changed over time due to the ever-evolving needs of the end users.